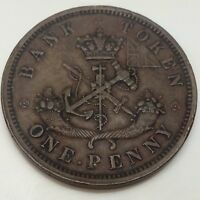 Better-Grade 1857 Bank of Upper Canada ½ Penny Token. PC-5D, Breton #720. 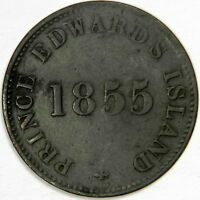 1855 CANADA ½ PENNY PRINCE EDWARD'S ISLAND - SELF GOVERNMENT & FREE TRADE! 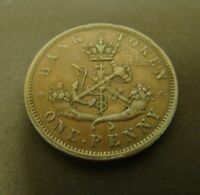 1857 UPPER CANADA DRAGONSLAYER ONE PENNY TOKEN - Truly amazing!